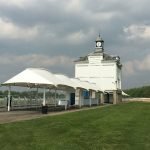 Since 1982, Fabric Architecture has installed several thousand tensile fabric structures worldwide. 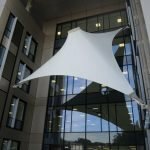 With headquarters in the UK and divisions in North America and the Middle East region, Fabric Architecture continues to deliver large-scale tensile fabric projects worldwide. 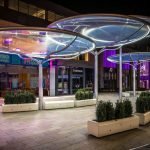 Fabric Architecture’s proprietary tensile products include the Archiclad system and the Signature Structures product range. 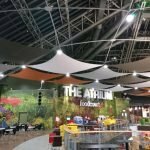 Archiclad is a proprietary fabric ceiling system that can be used for both interior and exterior projects. The modular design simplifies the specifying process and allows for greater speed of installation. 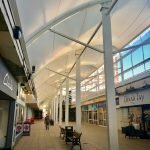 Signature Structures offer an easy-to-specify product range of tensioned fabric canopies, widely used across the education, healthcare and retail sectors. 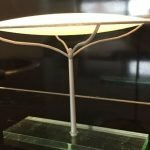 The company’s latest advance into kinetic architecture now provides a patented retractable fabric roof system. Each kinetic structure is engineered and built to specific environmental needs of your project. Fabric Architecture’s in-house Engineers, Designers and Project Managers collaborate closely with Architects and Contractors throughout the industry. The process is a continual exchange of ideas which transforms the original concept into buildable and memorable tensile structures. Fabric Architecture is an ISO 9001 and 14001 registered company. Installation Teams are CHAS and Constructionline certified. 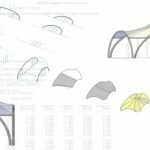 Fabric Architecture is a member of the RIBA CPD Providers Network and regularly present the interactive half-day course “How to Design a Tensile Fabric Structure” to practices throughout the UK and the Middle East region. 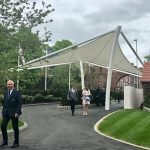 As winners of several prestigious accolades from The British Design Award to IFAI’s International Achievement Award, the company’s expertise and knowledge leads the global tensile fabric industry. Fabric Architecture is extremely proud of the strong working relationships developed with customers in the fabric structure industry. To find out more about the Fabric Architecture experience, please visit the testimonials page here.